Day 16 – Rain go away! Today the weather called for rain and boy was it wet when we got up. The tulips will be happy and we will be happy because the line ups will be shorter. 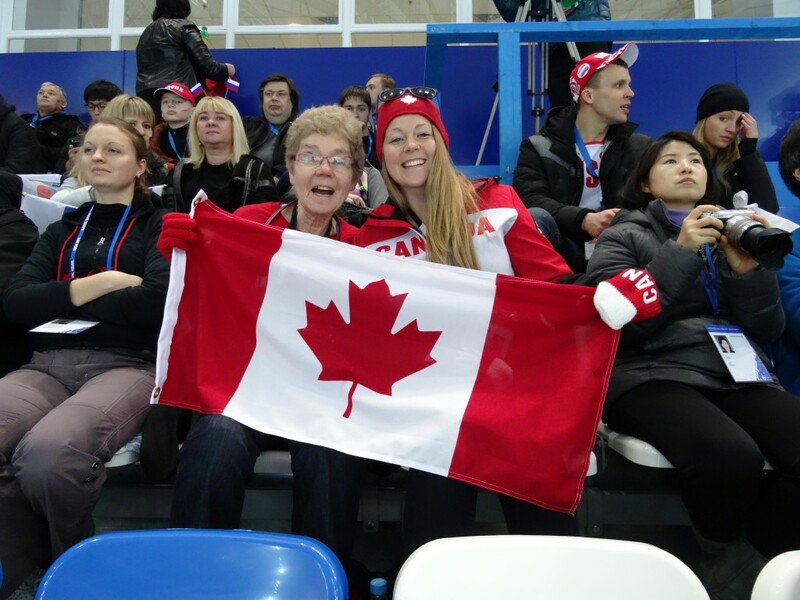 Today is our 4th short track day, so we headed out to Olympic Park early. 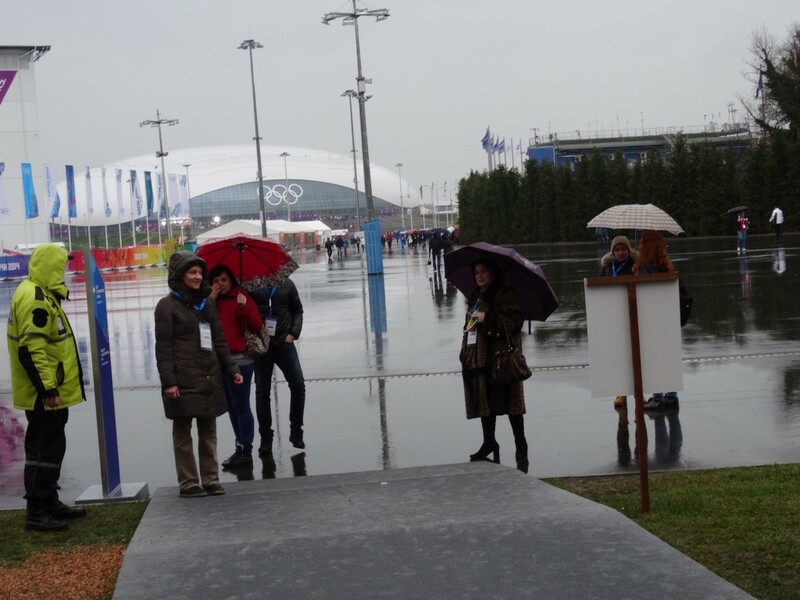 On the way into the park we decided to check out the Megafon house, a phone company and one of the Olympic sponsors. The line up was relatively short, however one of the reasons we were visiting the house was to get our faces in 3-D on the outside of the building. However the wait was up to 1/2 hour after you got your picture taken to it showing up on the wall outside. We decided we didn’t want to stand outside in the rain for 1/2 hour, so off to COH. 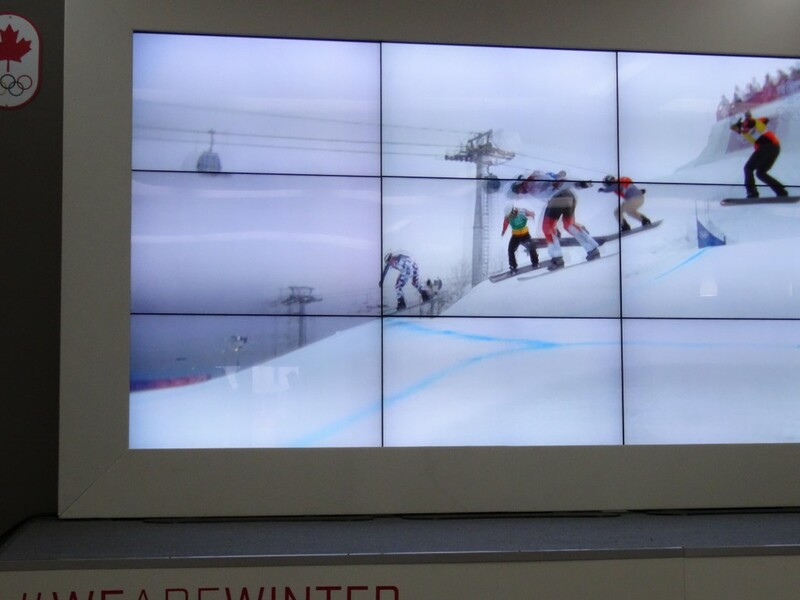 When we arrived, the Snowboard Cross event which had been postponed from the day before was on the big screen. After a latte and a lounge on the couches it was off to speed skating. 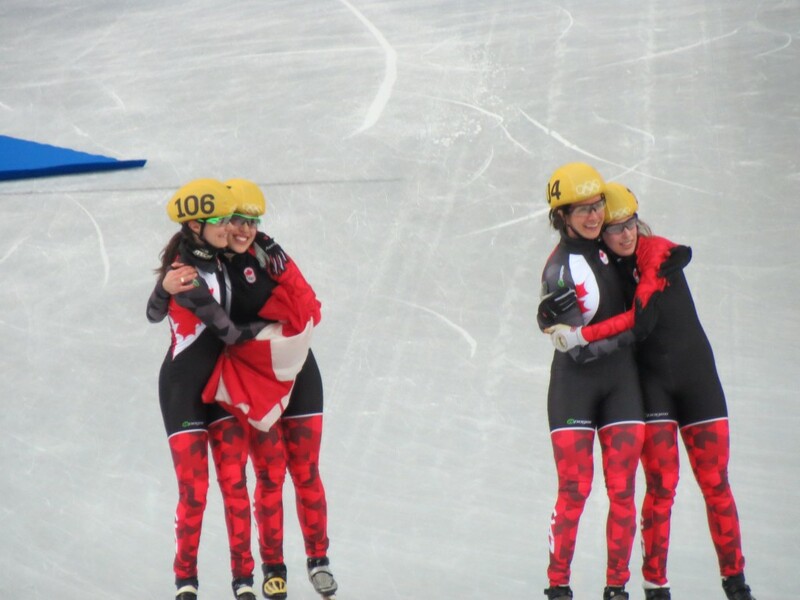 As you are probably already aware, it was a great day for Short Track Speedskating with a bronze medal which turned to silver for the girls relay team and two of the boys qualifying for the 500m semi which will run on Friday. 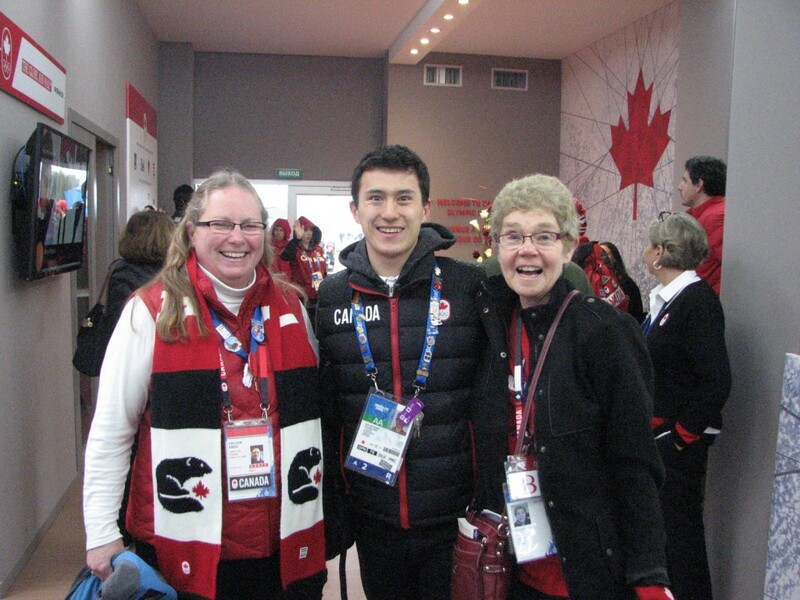 After the flower ceremony at the rink we headed back out into the rain to return to COH, which was packed with athletes and former athletes. 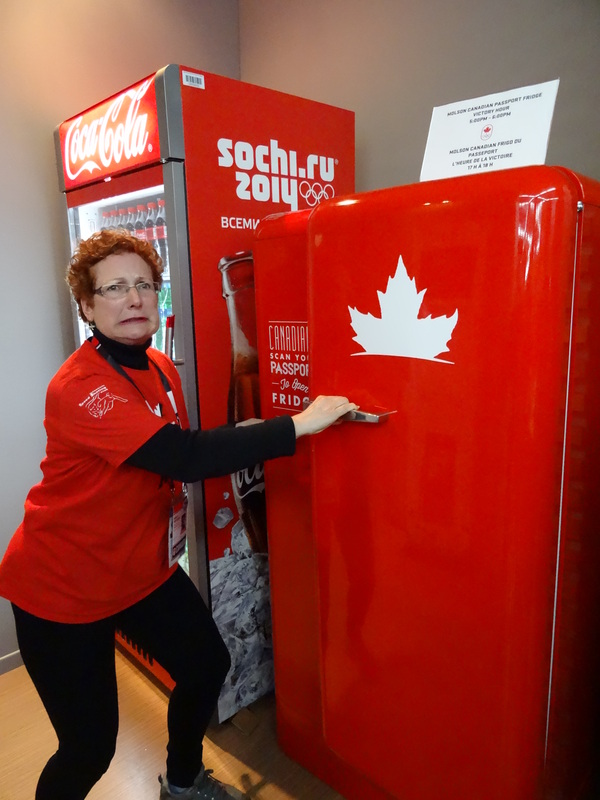 It continues to amaze me the generosity of the athletes to visit and pose for pictures. 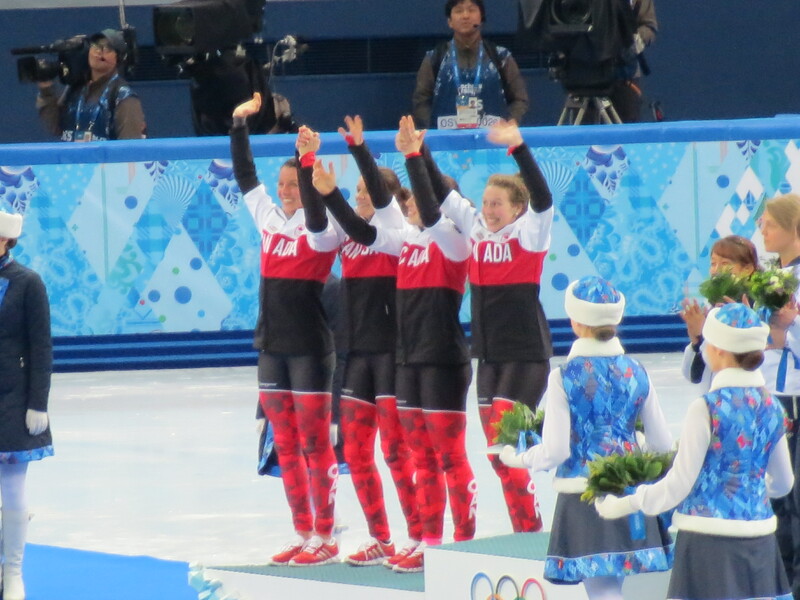 Canadians should be so proud of all our athletes past and present, they represent us well. 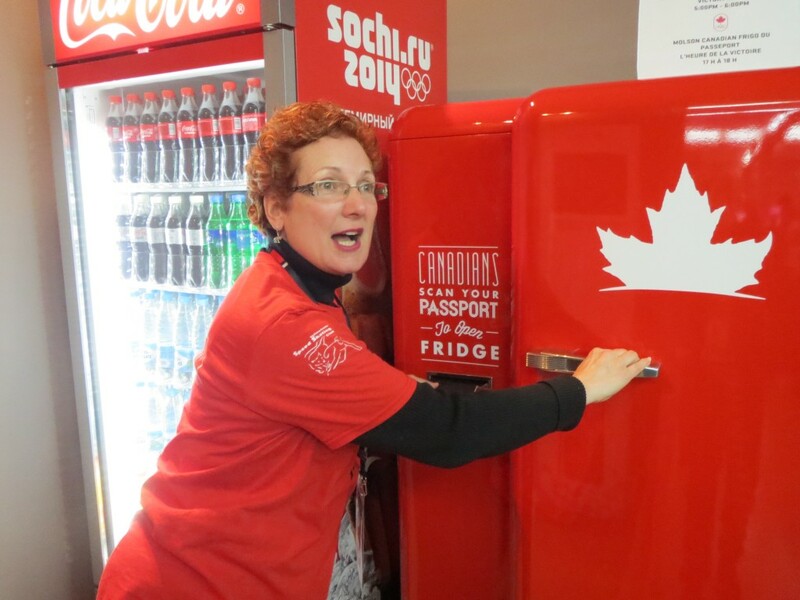 While at COH, Sue decided to try her passport in the Molson’s passport fridge, guess what happened! Have you made it over to Heineken house yet? 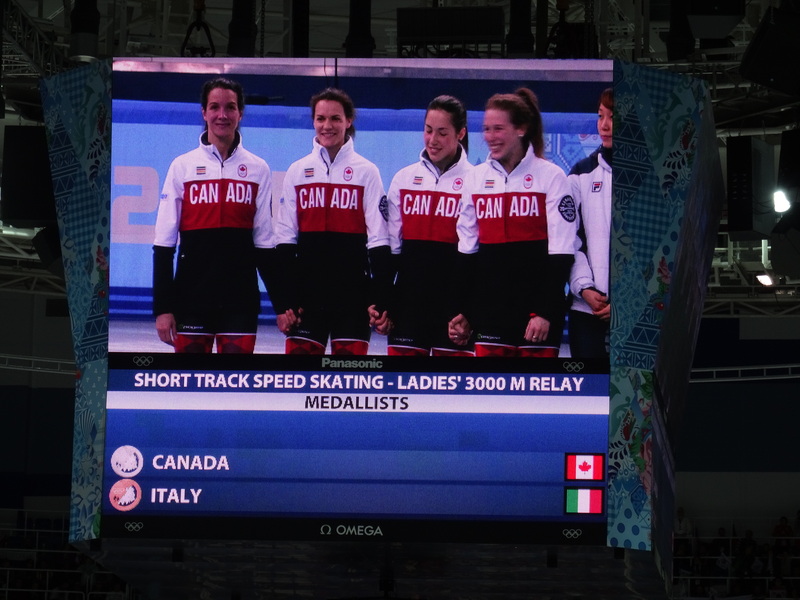 With all the Dutch medals in long track, it will be the #1 party house in Sochi!! !